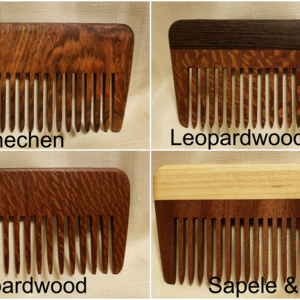 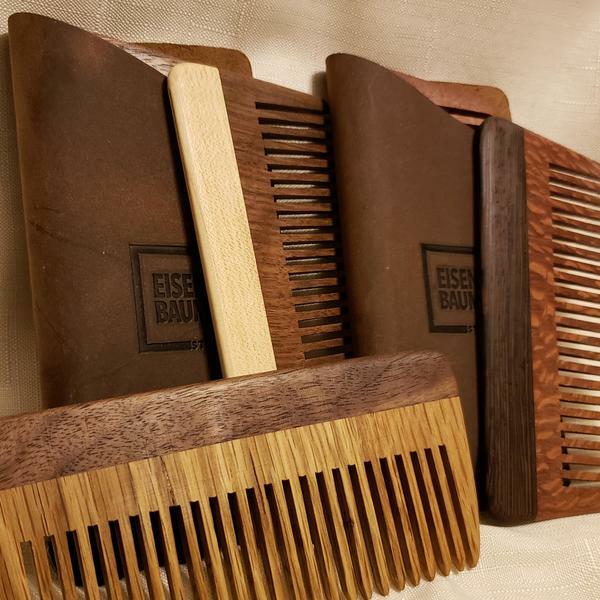 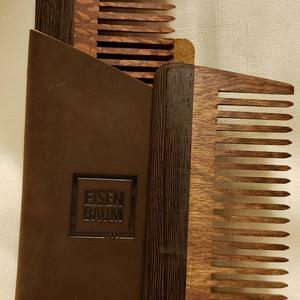 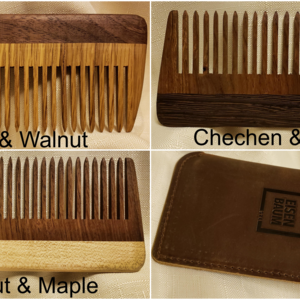 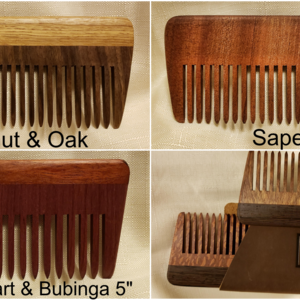 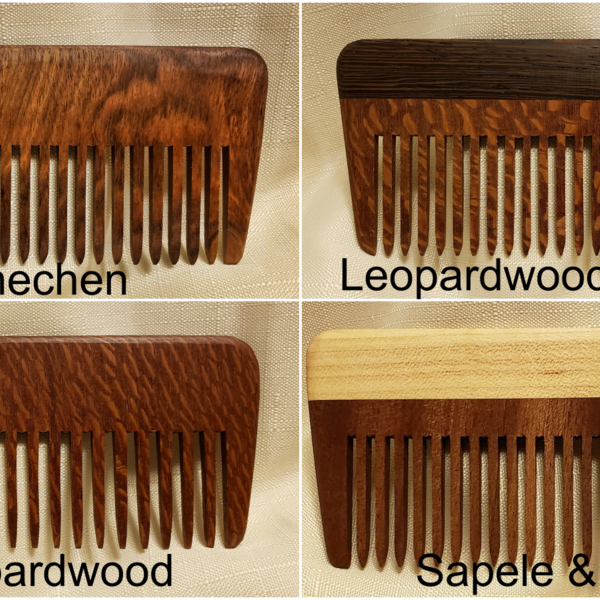 We were experimenting with making wooden combs. 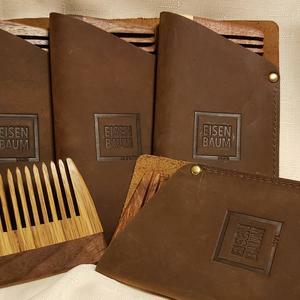 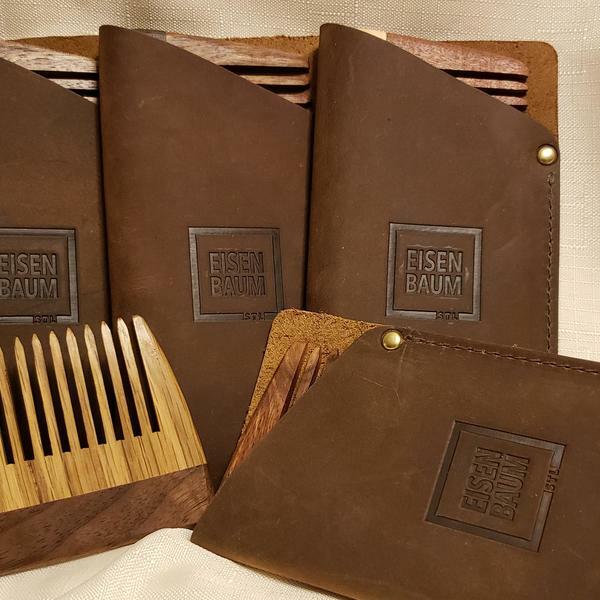 After several prototypes I finally decided on a design and worked with our local leather shop to make leather sleeves for them. I'm super excited to say the experiment was a success!